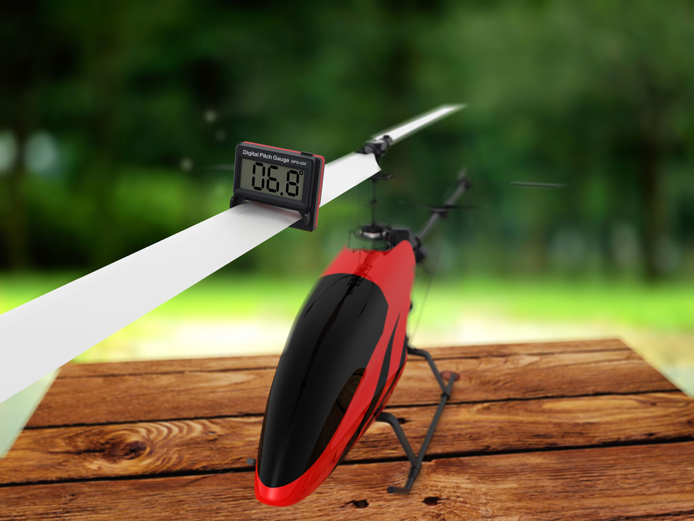 This Micro Digital Pitch Gauge is the world's smallest electronic Digital Pitch Gauge, designed for small helicopters (up to 450 class) and serves to measure the rotor blade pitch value. It is powered by one piece of CR2032 Lithium battery and allows blades from 15mm to 35mm. 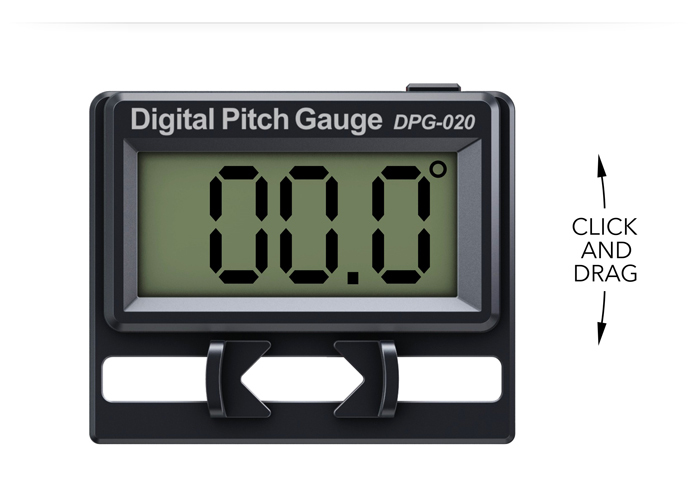 The built in digital gyroscopic sensor is capable of detecting pitch angle ±90°, with result displayed through LCD screen, providing a simple and precise way of measuring pitch angle. 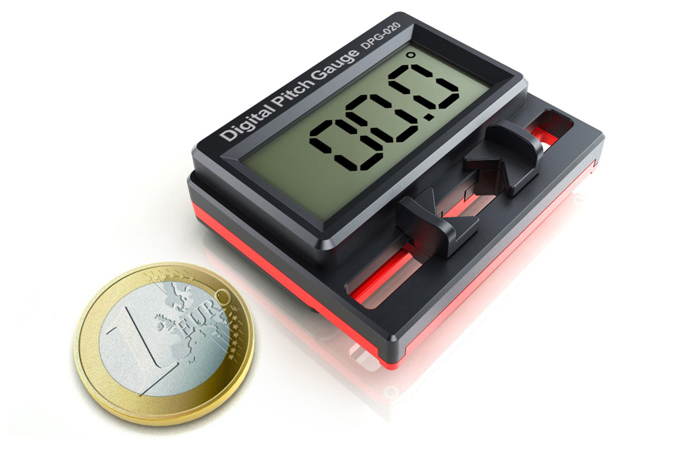 Simply install it on the blade, power it on and the pitch of the blade will display in the LCD screen. 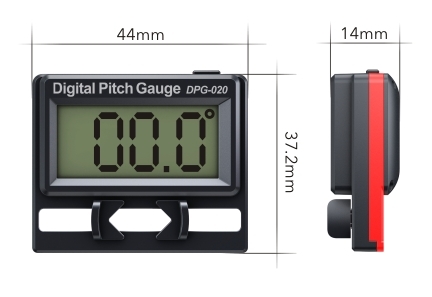 With this digital pitch gauge, you could adjust the helicopter rotor blades with a precision of 0.1° in 1 second. Shortest time spent, best result got.